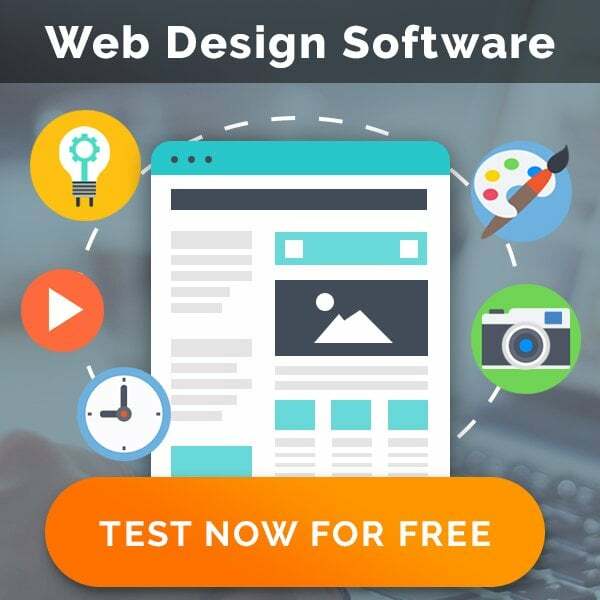 Flat design appeared a few years ago when users started getting tired of various gimmicks of the traditional skeuomorphic designs. 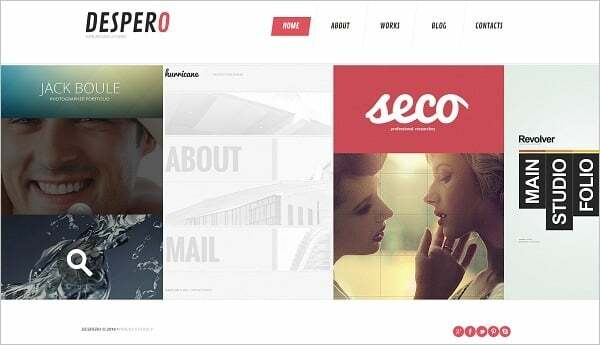 New style introduces alternative approach to the web design: simplicity of the structure, plain graphics and lack of textures. 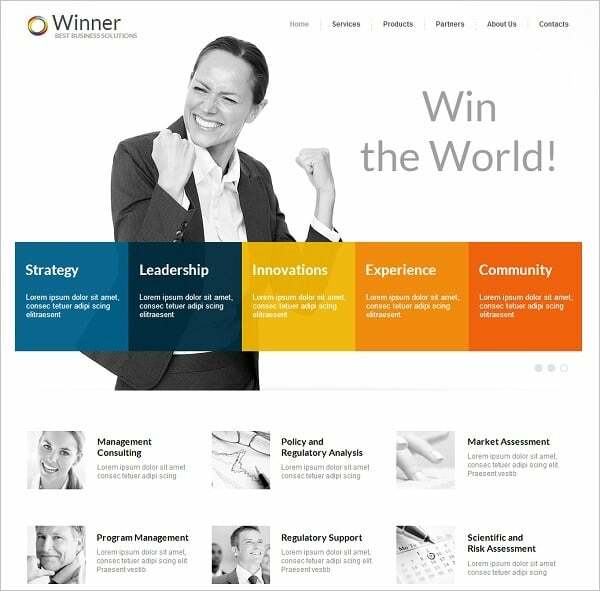 Flat website templates attract users with peaceful charms of the interface without overwhelming glossy elements. 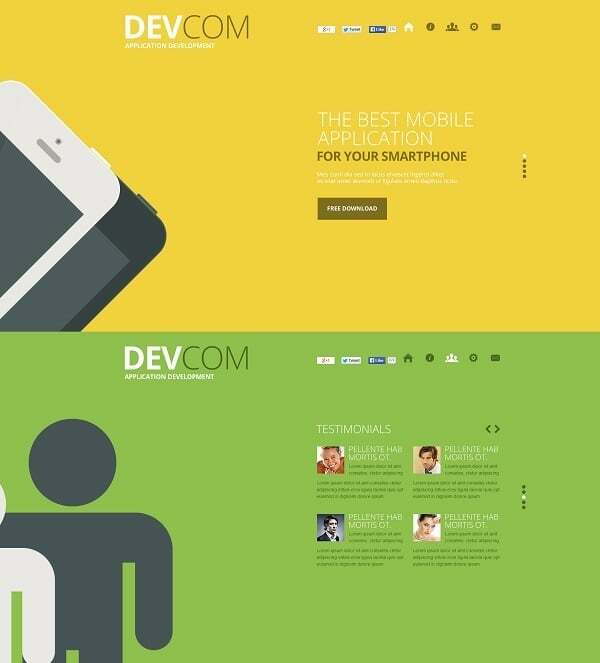 It is soothing for the eyes what makes such templates perfect for responsive design features. Flat design started from the Microsoft’s creation called, as you all know, Windows 8. Metro-style layout of this OS gained its backers very fast and attracted users with clear and useful organization, huge elements, navigation icons, and pictures. This design depicted a move towards un-realistic approach in design. Thus, instead of creating notebook or calendar that looks like the real notebook or calendar, Microsoft introduced a plain icon that roughly reminds of the real object and doesn’t imitates its functionality. Two-dimensional objects are the main design elements of the Metro-style interface. Buttons and navigation bar have no highlights that made them look three-dimensional. Instead, large squares on the Home page became clickable. It could seem confusing at first, but today all users know about this peculiarity. 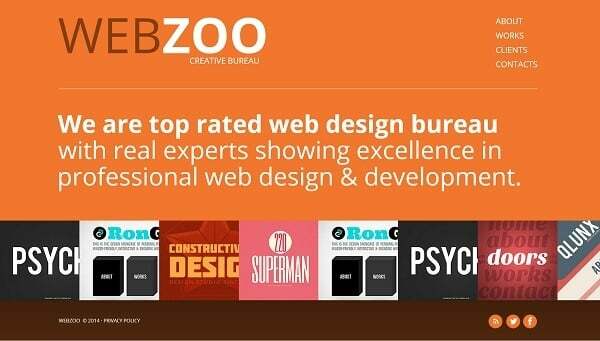 Additionally, most designers add to clickable elements subtle hover effects to mark their functionality. Flat style also makes use of plain 2D objects that doesn’t provide any additional decorations. Text is the main design object for flat-style web templates. 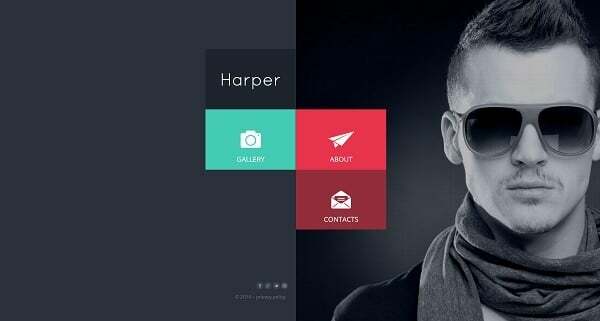 Cool typography and prominent icons are essential to create a good-looking website layout that speaks about the owner’s goals and intentions. It’s easier to perceive information of simple design where nothing distracts you. 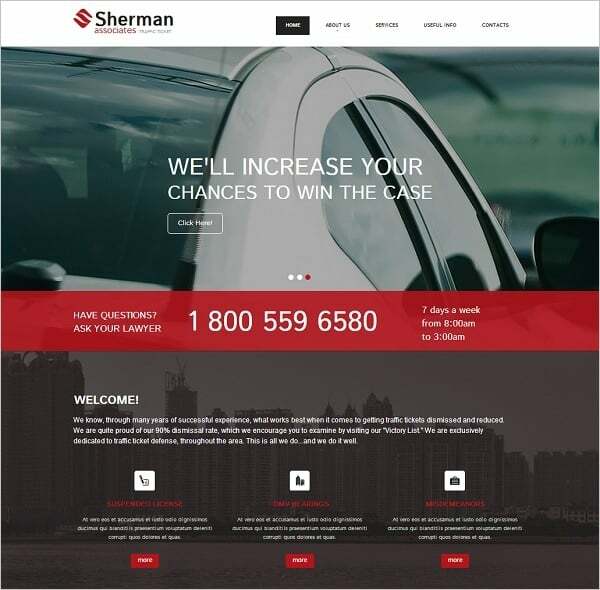 The example below shows plain website template with large menu blocks that contain the exact amount of info the user needs. Another example depicts the template with accent on text: the “About” info is arranged on the Home page and draws attention. The gallery of works is placed below the text. Metro-style designs make huge use of grid interface. 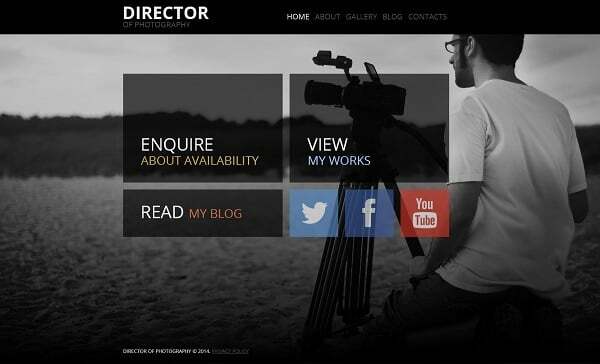 Large pics, buttons and icons arranged on the Home page next to each other creating a beautiful harmony. Most Metro-style designs doesn’t feature content slider to the Home page and simply add a few of the most popular or latest posts to it. On the screenshot below we can see a perfect example of such template with large clickable categories and even social media buttons that look like other blocks. The template below also introduces the elements of Metro style to the design useing large blocks to showcase the works. 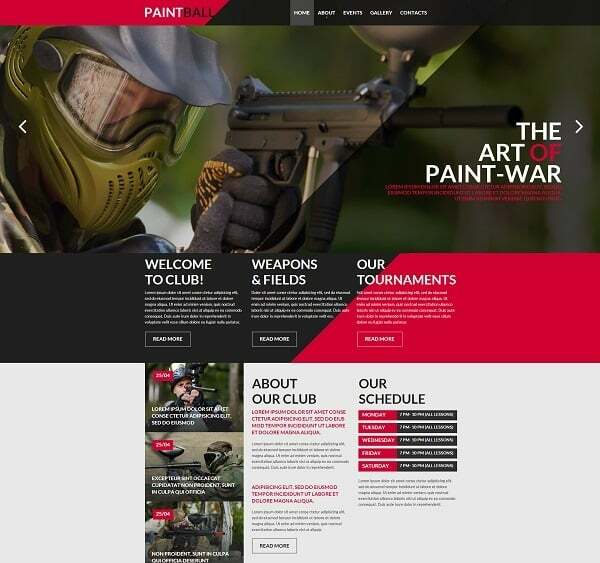 Color palette for flat website designs may vary greatly. As I said, it may include a set of bright colors. However, many web templates in flat style feature pastel hues and dark color scheme. 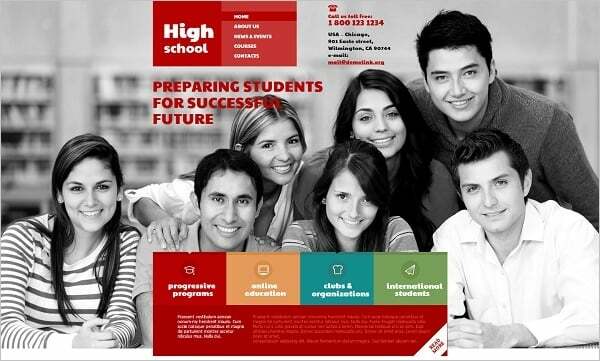 It is traditional for minimalist style that is closely related to the flat-style templates. Minimalist style is known for its clean unobtrusive design and calm colors use. Many minimalist designs tend to monochrome palette or pastel colors. It makes the information and content stand out. However, flat designs make good use of bright colors when it’s necessary to emphasize key concepts and attract attention to certain aspects. Due to overall simplicity and flat concept of the style, color play significant part in design creation. 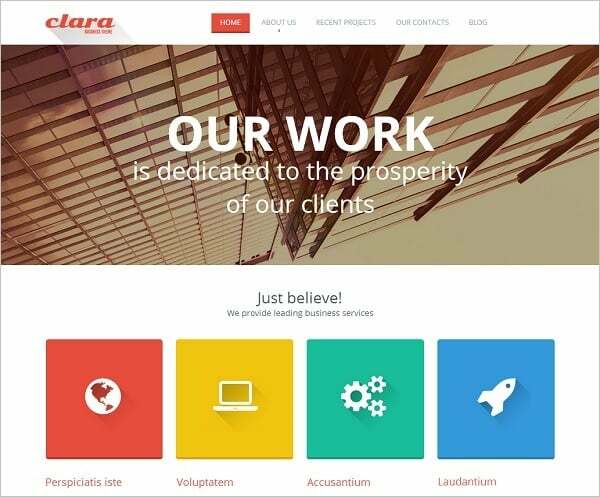 The use of whitespace in flat web design is also emphasized and highlighted with the use of pure color for the background. 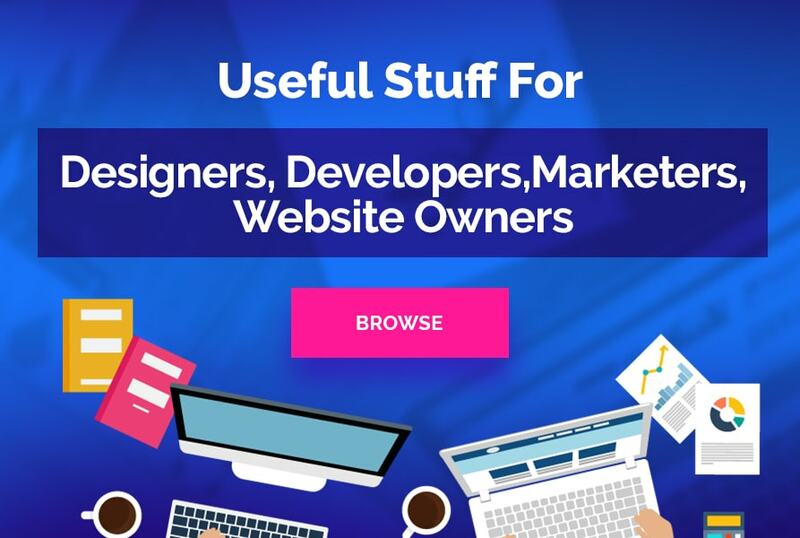 The examples below features bright colors for each of the content icons and the whitespace around draws maximum attention to them. Other elements should be of contrast tones to stand out of the background and be noticeable. It’s good to use another color as a hover effect for the buttons and clickable elements to make their identification easier, like in the template below. Fonts and typography features simple lines too. Mostly designers use in flat template designs sans serif fonts that are stripped of additional elements. Shapes tend to be more traditional – rectangular or square, sometimes with rounded corners depending on the overall style, or even circled like in the screenshots below. Whimsical shapes are not popular in flat design, so they’re mostly avoided. One of the most attractive effects that was introduced to the flat design is a long shadow effect. 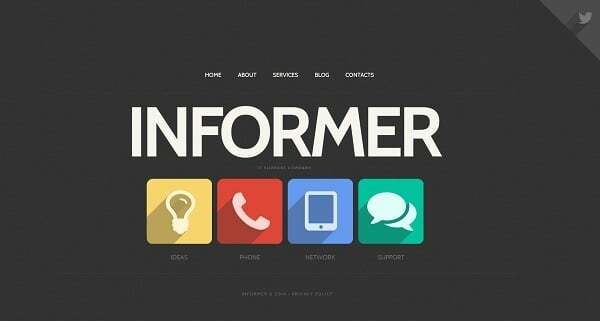 It is widely used with flat elements like icons and buttons to create a vivid and dramatic look. the idea is to add a shadow that is of a bit darker hue than the original element and rest at 45-degree angle to the horizontal line. It mirrors the object and adds volume to the element. The following examples feature long-shadow effect for icons and for the background image. It may seem that long shadows ruin the idea of a flat design, but it’s a mistake. Long shadow effect makes objects look like origami models keeping their flat 2-dimensional look. Functionality is the main focus point of the flat design. Flat style discards ornaments, animations and special effects that are beautiful but in some cases are useless. Instead it brings back plain schematic layout organisation that draws attention to the content. 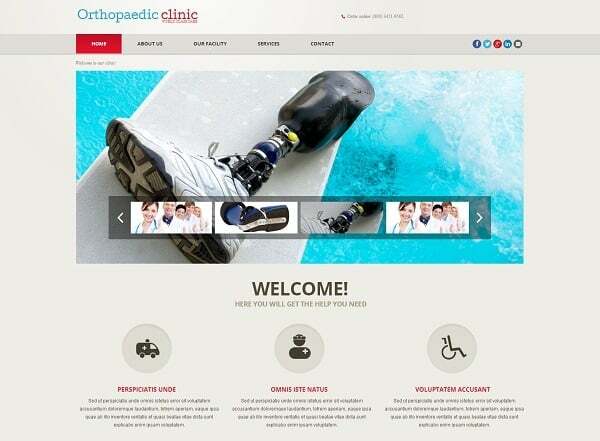 The template of the orthopedic clinic below makes use of whitespace and prominent icons that draw attention to the content, its characteristics and accessibility. 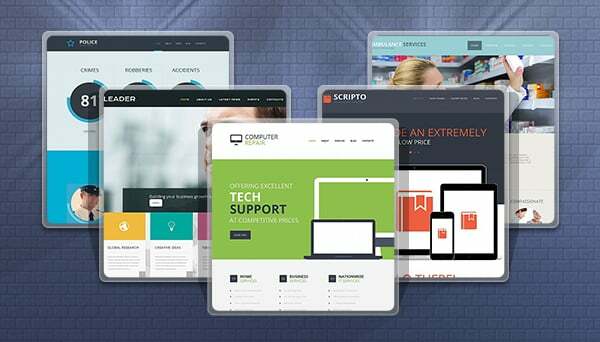 Flat layout may be appropriate for business and technology websites, various accounting and banking companies as well as for social organisations, services and charities. 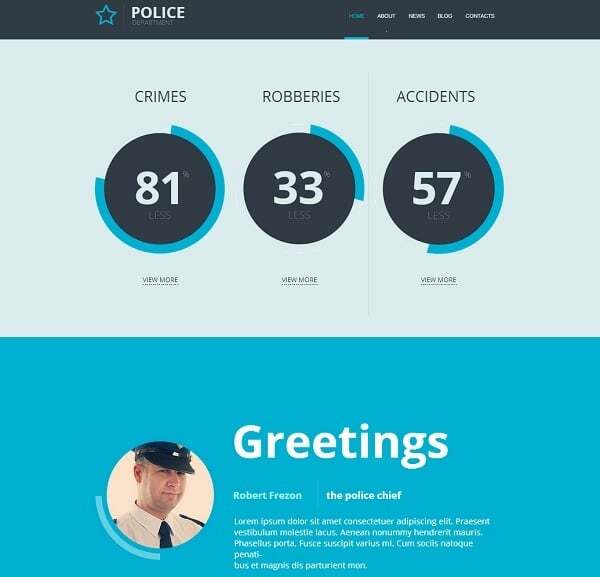 However, almost any company may introduce some elements of the flat design to its website. 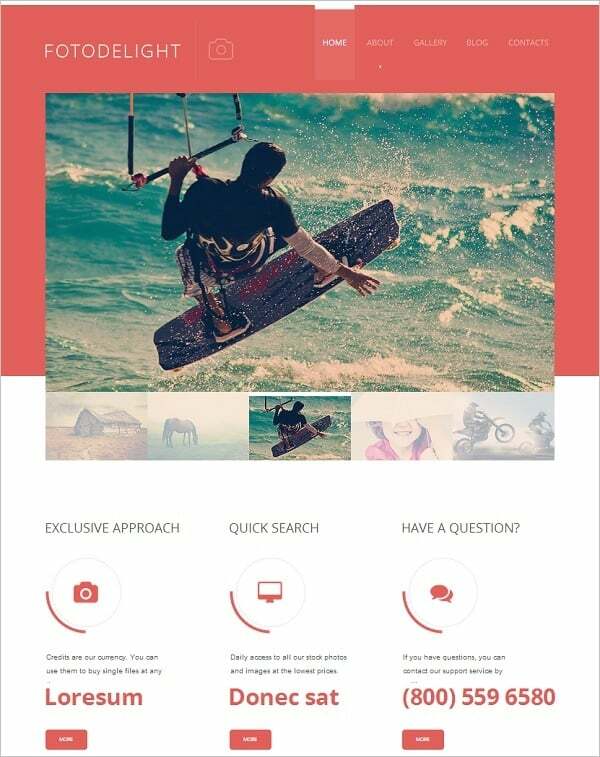 It’s a great selection of the flat templates for any website on MotoCMS. Choose the one that fits your business needs.